Courtyard opening up to Pilgatan and the promenade. Every urban development project should be treated in accordance with its conditions. 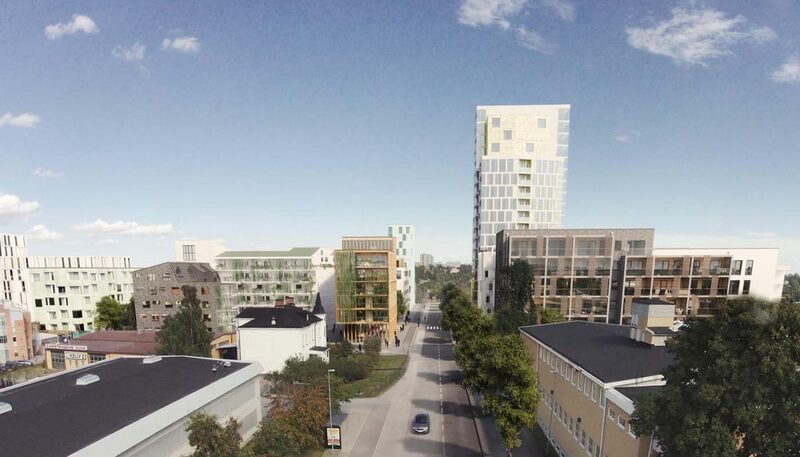 When residential houses are once more to be built at Ängsgärdet it is done in close proximity to existing businesses. Some of these will continue to operate side by side with the new houses in the foreseeable future. 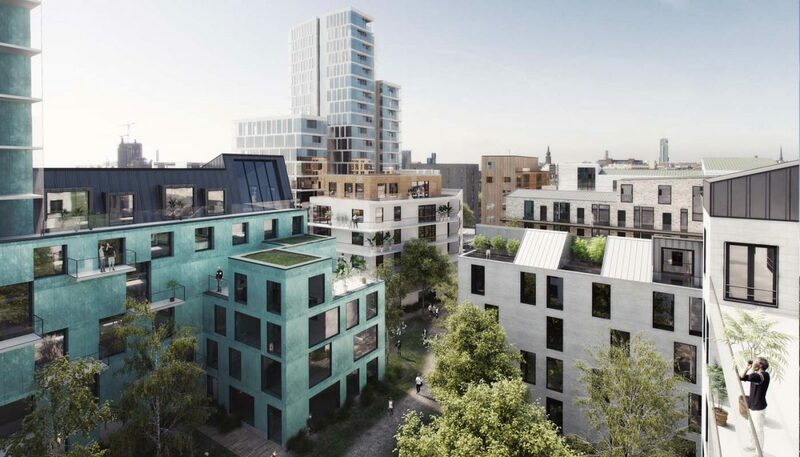 The environment of the new residents will be a number of new spaces to spend time in and spots to walk to, all mixed up with the older layers of businesses who in their turn can be influenced by the new buildings and change over time. In the long run, the share of residential buildings will further increase within Ängsgärdet. Hopefully, the area will continue to develop into an even more varied and multifaceted urban environment. The exploration has just begun. 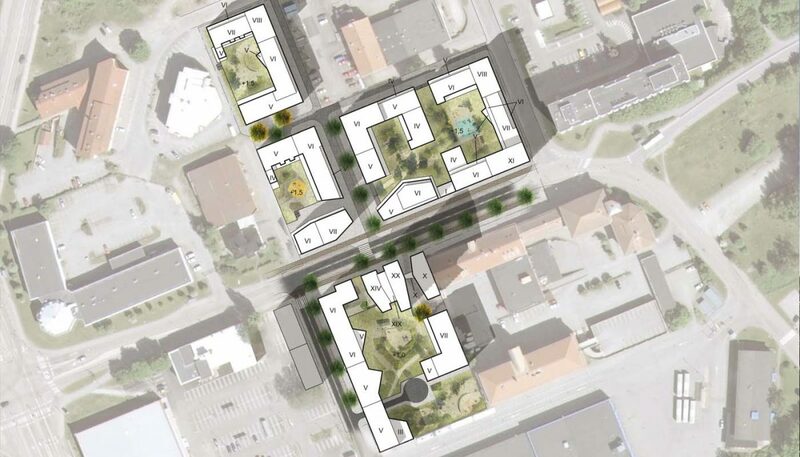 The planned buildings will eventually be part of the central area of Ängsgärdet. Residential houses and central functions such as cafés, shops and in due time a preschool will bring life to the area around the currently dormant Pilgatan. The proximity to Västerås city with all its services and commerce will make the shops and facilities along Pilgatan – the area’s arterial road – mostly address the local residents.